It’s their big day! 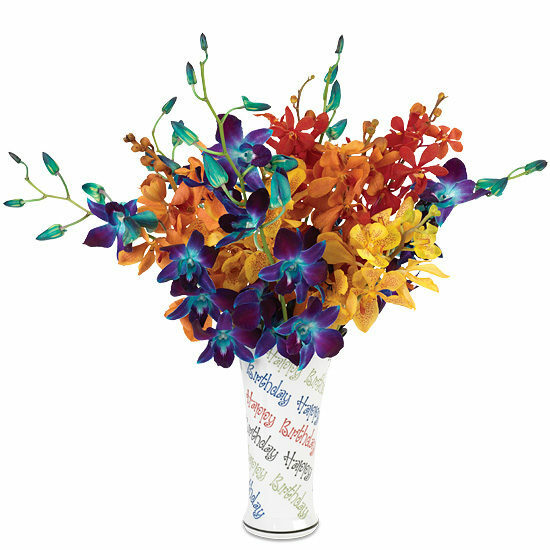 Bring a huge smile to their face with a bouquet that matches their one-of-a-kind brilliance. 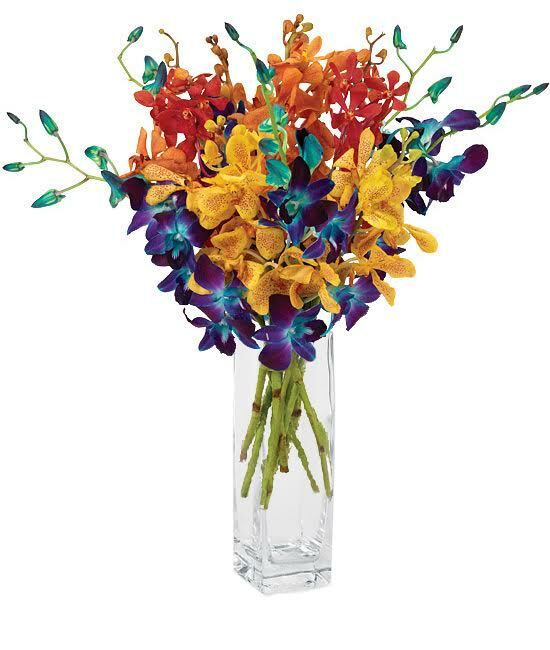 The happy mix of birthday orchids includes dyed electric blue Bom dendrobiums amidst a bevy of sunshine yellow, ruby red and juicy orange mokaras. Our exclusive telegram-inspired vase with a scalloped rim completes the floral celebration. Fill container with room temperature water. Cold water is not readily absorbed and hot water can shock the flower. Trim ½” from the bottom of each spray by making a diagonal cut. Arrange orchids allowing them to fan out. Do not allow any blooms to be underwater. Simply remove blossom from the stem. 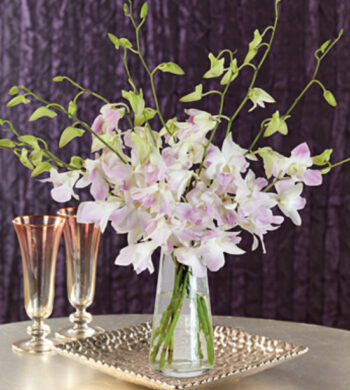 Always add fresh water daily and mist your orchids. Trim away spent blossoms as your bouquet ages and rearrange. Typical orchid buds may gradually open at the tips of each stem, although most do not. Keep flowers out of direct light in a place with good air circulation.